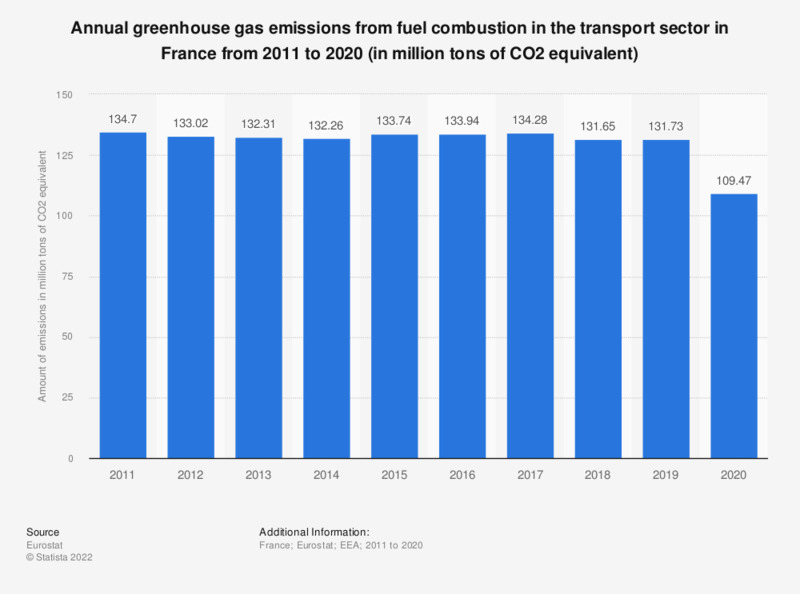 This statistic shows the annual greenhouse gas emissions from fuel combustion in the transport sector in France from 2005 to 2014. In 2014, the greenhouse gas emissions from produced by fuel combustion in the transport sector amounted to approximately 130.97 million tons of CO2 equivalent. Data coverage corresponds to code CRF1A3 of IPCC 2006.